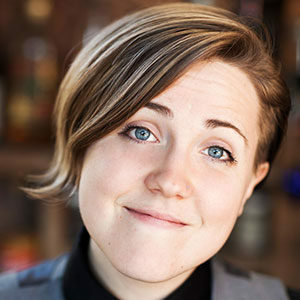 Hannah Hart is the creator of My Drunk Kitchen, a weekly web series in which she cooks while drinking. Or as she puts it, “Real improv. Real liquor.” She’s also the author of a cookbook by the same name, My Drunk Kitchen. Hart lives in Los Angeles with her puppy Ollie.